With the start of a new financial year we have the inevitable price rises, the cost of water being one of them. 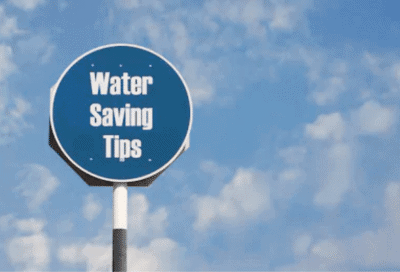 Whilst it isn’t a large rise it still impacts the family budget, so now is a good time to review the top ten tips for saving water at home. Dripping taps or toilet cisterns not shutting off after flushing are the most obvious cause of water wastage and should be repaired promptly to minimise waste. A less obvious problem is a concealed leak either underground or behind a wall. These types of leaks are often not identified until after your water rates arrive which can result in a nasty shock. Here at Whywait Plumbing we recommend monitoring your water use so any increase is picked up quickly and can be investigated further. This is especially important if you have had a previous leak as most local authorities will only allow you to claim relief on your water rates once every three years. If you have an older home your fixtures and fittings are likely to use more water than product available today, so when the time comes to replace them compare products for water efficiency. WELS water efficiency ratings indicate how much water they use – the more stars on the label the less water the product uses, a great way to reduce your in-home water usage. Another option is to install aerators or flow controllers to existing tapware. WELS ratings also apply to appliances so compare ratings when shopping for dishwashers and washing machines. All new washing machines must comply with a minimum water efficiency standard, and some dishwasher models on the market today can use as little as half the water of older models and you no longer need to rinse your dishes, in fact with the sensors in today’s machines you get a better wash if the dishes are dirty. Avoid using your washing machine or dishwasher when it’s half full. Only running these appliances when you have a full load not only saves on water but also is more energy efficient. If you must wash before you have a full- load then ensure you adjust the water level settings. All new toilets come with a half flush water saving option. If your property is not fitted with dual flush toilet cisterns then we would recommend having these installed as they can save thousands of litres of water per year. Always turn the tap off when cleaning your teeth and use the plug when shaving and washing vegetables rather than under running water. Encourage the whole family to take shorter showers and turn the shower off when shampooing your hair. A timer is a good way to keep everyone on track. When showering when you first turn the taps on collect the cold water and use it to water plants or even flush the toilet. Just tip it down the pan instead of flushing. Collecting and reusing rainwater for watering lawns and gardens is an effective way to reduce water bills. Discuss your water saving tips with the family and remember it’s never to soon to teach young children water saving habits. If you teach them when they are young you may avoid the long showers once they become teenagers.